Lloyd & Hill first started laser scanning in 2005. Since then we have been priviledged to serve clients such as Sasol, Engen, and Chevron in the petrochemical Industry, Eskom and Koeberg NPS among many others. We are also pleased to be providing Architects and Engineers various products including Revit models and Complex analysis reports on deformation. We have also enjoyed providing as-built models to the film industry and have been part of numerous productions that have been filmed in Cape Town. 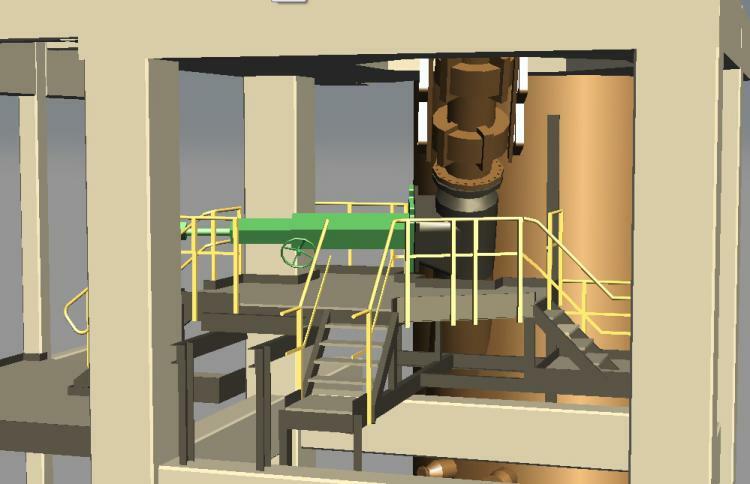 Read on to learn more about our services in BIM, Engineering and more. 3D Laser Scans or High Definition Surveys (HDS) has become the most efficient way of creating or verifying 3D As-Built models. A laser scanner digitally recreates its surrounding environment by measuring a high density array of point positions to form a "point cloud". This point cloud can be digitally viewed, sliced, used for distance measurement, volume calculations, surface and solid modeling. As BIM grows in popularity, Lloyd & Hill Inc is positioned to provide the spatial services that make BIM work as it is intended. BIM models must be accurate and reliable, being a digital ‘virtual reality’. LHI maintain strict site accuracy standards to ensure that at all stages the BIM process benefits from reliable data throughout a project life-cycle. We maintain this capability by keeping abreast of international hardware and software trends and by continuously innovating new ways of providing the South African Professionals with the products and services they need. 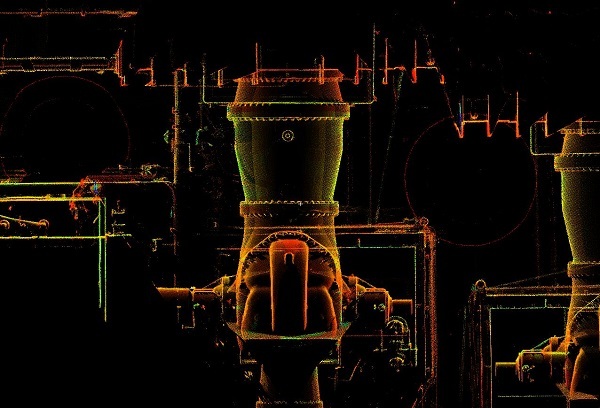 A 3D point cloud that accurately represents reality is used by engineers in the design of modifications and new plant that must be integrated with existing components. 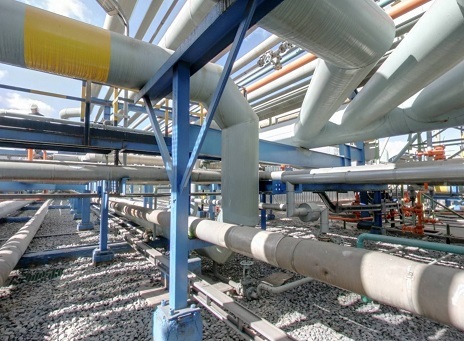 The advantage of knowing in detail what exists in the as-built/as-is environment results in substantial savings by ensuring that pre-fabricated equipment fits first time. Furthermore, all detail in view of the scanner is captured in the field and can therefore be identified and measured at any stage using the scan model, without the need to revisit a site. 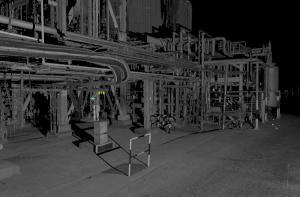 Point clouds have become a standard requirement for complex reverse engineering or modification projects. Architectural and archaeological records can be stored in digital form by scanning buildings or artifacts, and colouring them according to the images. 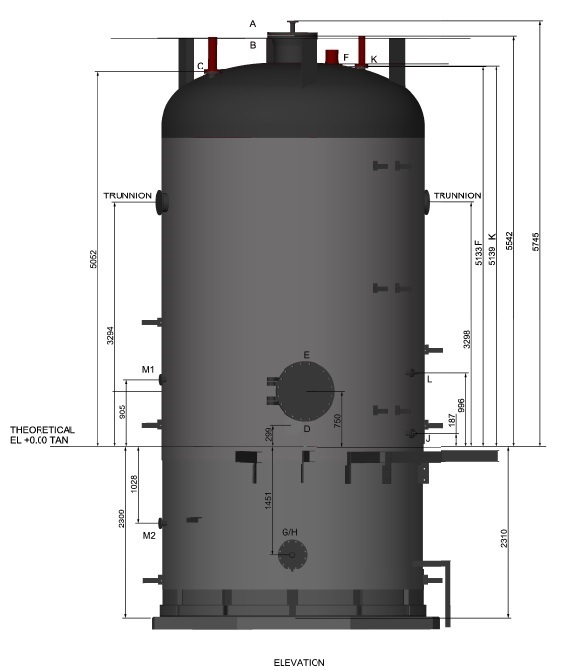 Any measurements can be made, or 2D plans generated subsequently using the digital 3D model. 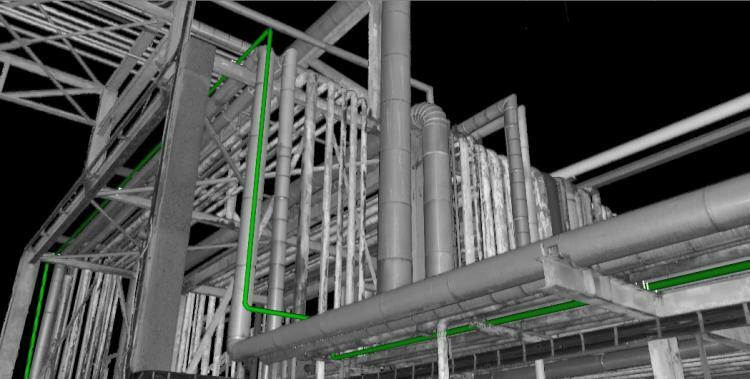 LHI believe that scanning must be grounded on an accurate survey that firmly relates the point cloud to the site coordinate system. Therefore our scanning team comprises well trained Survey Technicians managed by a Professional Surveyor who ensures that the overall registration and work flow will meet project specifications. Ideally a point cloud should generate very high relative accuracy within a given cube but maintain good absolute accuracy across the whole site. This is achieved with well controlled and high precision survey performed simultaneously with the scans. We aim to scan as much as possible in a day on site with the security of checked survey measurements within the accuracy specs and with the due safety precautions that are prescribed for work in that area. Spherical Imagery is an additional product that we deliver as part of a scanning project, with the photography taken from the same position as the scans. Alongside the spherical images are "TrueViews", a Leica software product, being spherical views from each scan scentre. These are measureable in MS Internet Explorer being directly derived from the point clouds. point clouds. 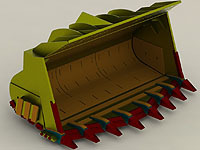 A design model overlaid in the same view is shown on the right.